Why Run. Why Walk. Why Fundraise. Every day, California Hospital Medical Center makes a difference in patients' lives. Our doors are open 24/7 to help all who need care, regardless of their social or economic status. “I started out as a routine traffic accident victim, but soon I began to crash. My brother and his wife gathered at my side to say their goodbyes. But before I lost consciousness, I was asked a simple question: Do you want to live? I responded, yes. 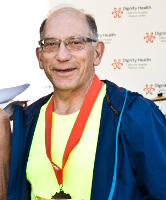 John L Raya began mentoring at Hope Street Family Center in the late 90’s and later served as a member of the CHMC Foundation Board until his passing in 2010. 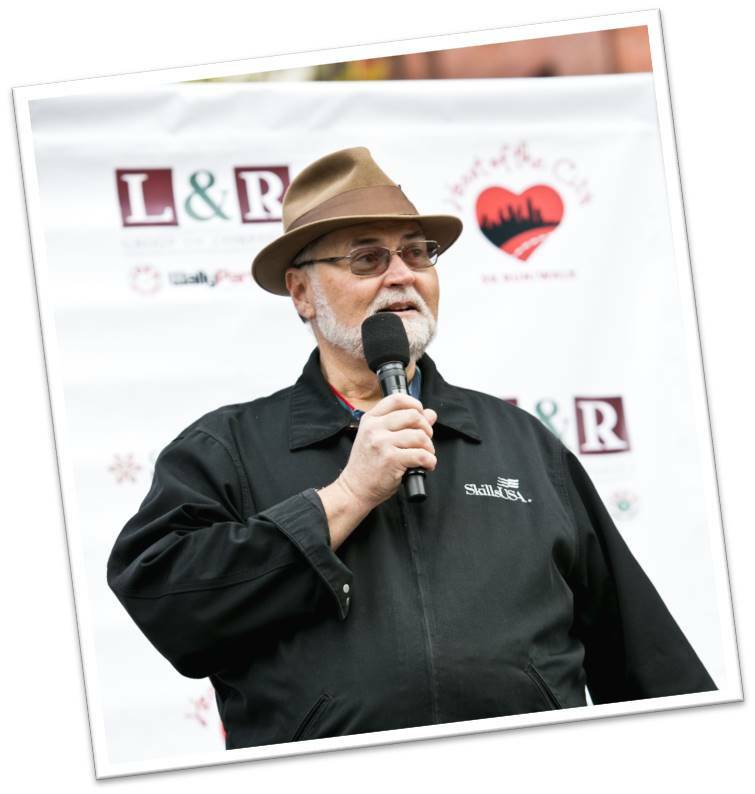 In 2012, his daughter Jeanne Raya joined the Foundation Board and the Hope Street Fund Development Committee. 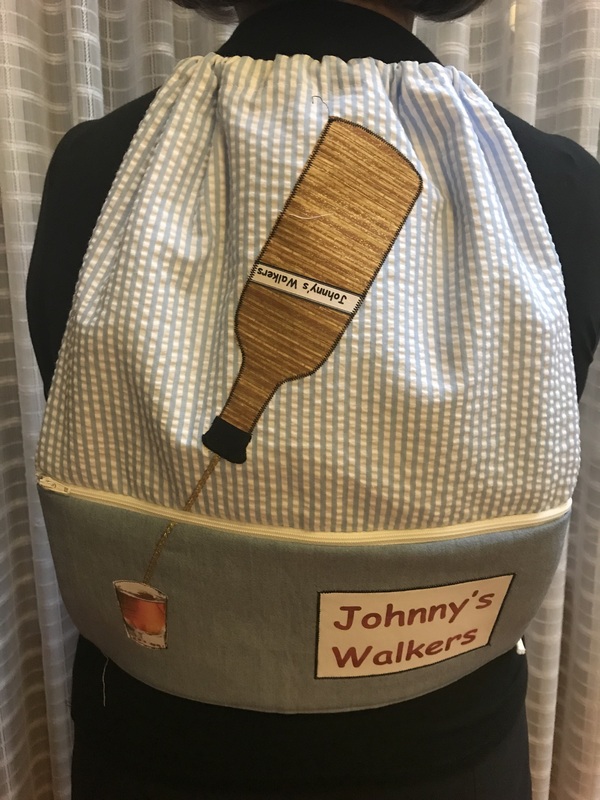 A partner in Raya Insurance, Cindy Uehara, designed the “Johnny’s Walkers” backpack our team will wear in the 2019 Heart of the City 5K. The backpacks were handmade by Jeanne’s lifelong friend Carol Russell, another team member. We support Heart of the City every year, in memory of John, and to fulfill his commitment to CHMC. Why I Run: Catherine's story. Nine years ago, a vehicle crashed at full speed into Catherine Round (center in photo) an accomplished ballet performer and instructor. She wasn't sure she would ever be able to dance again. But after receiving emergency care and extensive rehabilitation at California Hospital Medical Center, she returned to ballet and now enjoys doing the things she loves again ... including giving back. This marks the 7th year of the Heart of the City 5K and Catherine has been a participant since the beginning. As a team captain, she recruits other ballerinas and friends to join her on race day and raises funds for the hospital. 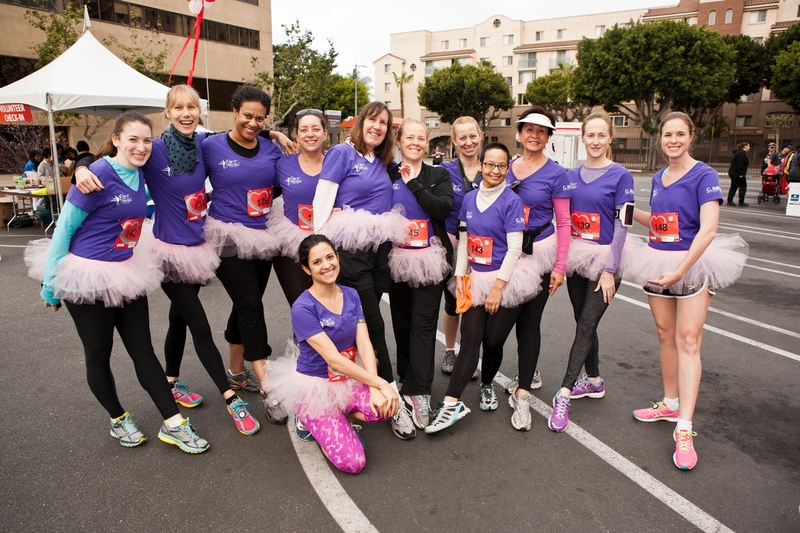 It's easy to spot Catherine's team on the course ... just look for the group in pink tutus! “It's a wonderful hospital that helps people get back on their feet. We always have so much fun at the race and look forward to it each year!"